Successor wanted - By using authentic case studies Dr. Hartmut Schneider shows in this easy-to-understand practical guide to entrepreneurs and successors in SMEs how successions can succeed. Practical and helpful are recommendations for action and a toolbox with company check, delivery schedule, checklists as well as dos & don'ts. Whether acquisition or sale of a company, participation, cooperation, family succession, due diligence or post-merger integration: We accompany you professionally, competently and discretely. Our special attention concerns the intra-family succession. Professional, experienced and empathetic we consider your individual needs. Strategy of company sales - analysis, recommendations, implementation. We support the increase in corporate value prior to the sale with our experienced and competent consultants network. With i.a. Rainer Schwöbel and Jochen Mayer and further consultants with different core competencies we expanded the network of experts of M & A Strategie GmbH and expands its own consulting competence. Transaction: The technical infrastructure service provider for the planning, development, assembly, maintenance and repair of protection and control systems for motorways, federal and state roads in the turnover category 10 - 20 m EUR was sold to a fund company. This fund uses the company as a platform for further continuous expansion and growth. Transaction: The highly profitable specialist and complete supplier of concrete floor technology was sold by way of age succession with a transfer accompanied by the seller, transferring all customer contacts to a suitable successor. 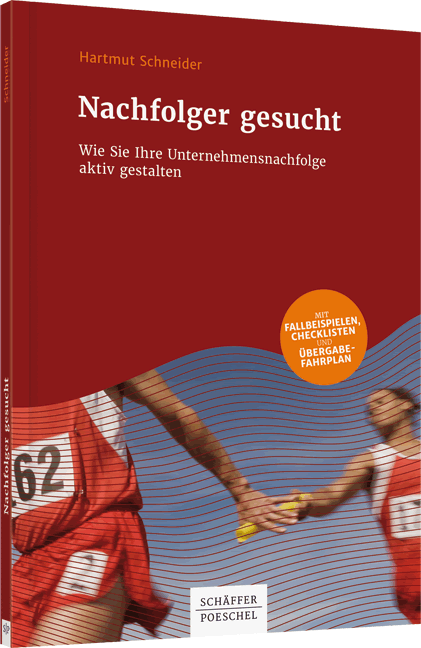 By using authentic case studies Dr. Hartmut Schneider shows in this easy-to-understand practical guide to entrepreneurs and successors in SMEs how successions can succeed. Practical and helpful are recommendations for action and a toolbox with company check, delivery schedule, checklists as well as dos & don'ts. M & A Strategie GmbH joins as member the renowned Bundesverband Mergers & Acquisitions (German Federal Association of Mergers & Acquisitions): www.bm-a.de. 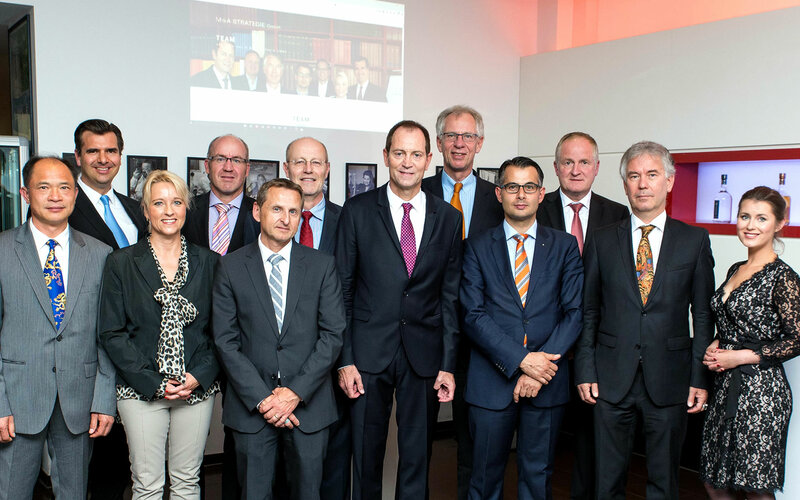 M & A Strategie GmbH celebrated its 15th company anniversary with invited guests and presented its new strong network. Many congratulatory messages and letters had been received, important company highlights were illuminated and the future development steps were outlined. Dr. Schneider, Managing Partner of M & A Strategie GmbH and Board member of the European Association Transeo brought this year's Transeo Summit to Cologne, where he gave a part of the opening address. Topic of this summit was: The importance of emotions and human aspects in the success of business transfers. Prof. Dr. Daniel Schallmo and Dr. Hartmut Schneider held a lecture on the Entrepreneur's Day in Ulm to an audience of more than 50 participants: "How to achieve better corporate sale prices. Increase the value of your company sustainably (not only) before your business sale." With i.a. Stephan Werhahn, Gangolf Walter, Dr. Jimin He and further consultants with different core competencies we expanded the network of experts of M & A Strategie GmbH. Congratulations to our partner Dr. Daniel Schallmo, who was appointed "Professor" by the university of Ulm in March. Every 1st Friday of each month at 4 p.m. we will answer your questions about business succession discrete and for free and have set up for this purpose an "Entrepreneur's Phone" with the number +49 731 1597 9338. On Youtube we present our new film: M & A Strategie GmbH Presentation EN.